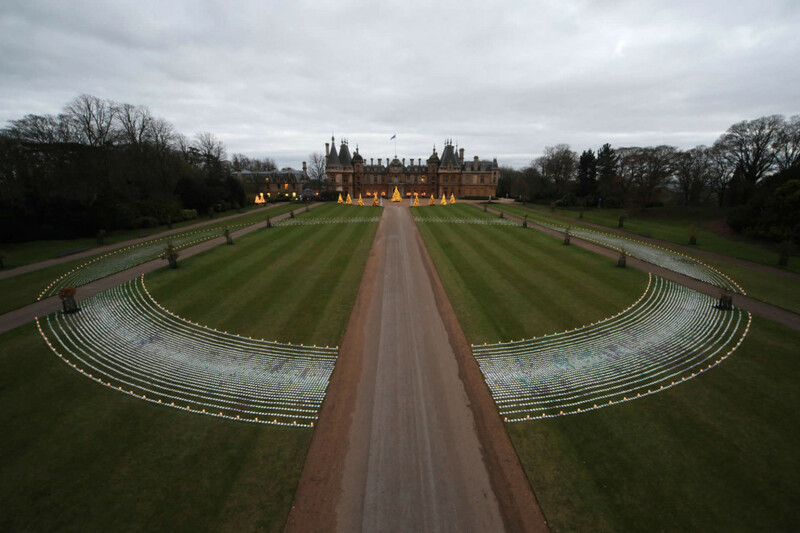 In 2012 Bruce began his collaboration with Waddesdon Manor and started work on creating two new site specific pieces for a winter exhibition. 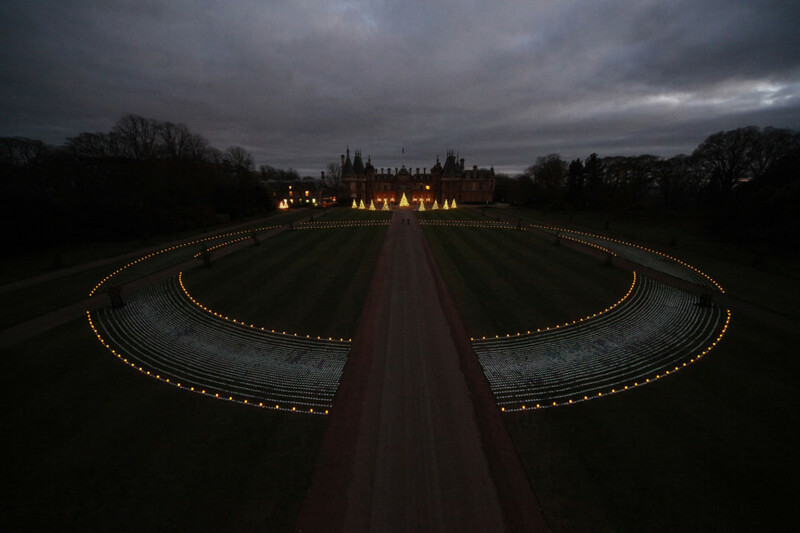 As with Cantus Articus, which would debut at Waddesdon in early 2013, the artwork was conceived as a response to the seventh symphony of Finnish composer Einojuani Rautavaara, Angel of Light. Within days of his first discovery of the symphony, Munro had listened to the piece a dozen times and gradually a visual narrative unfolded. 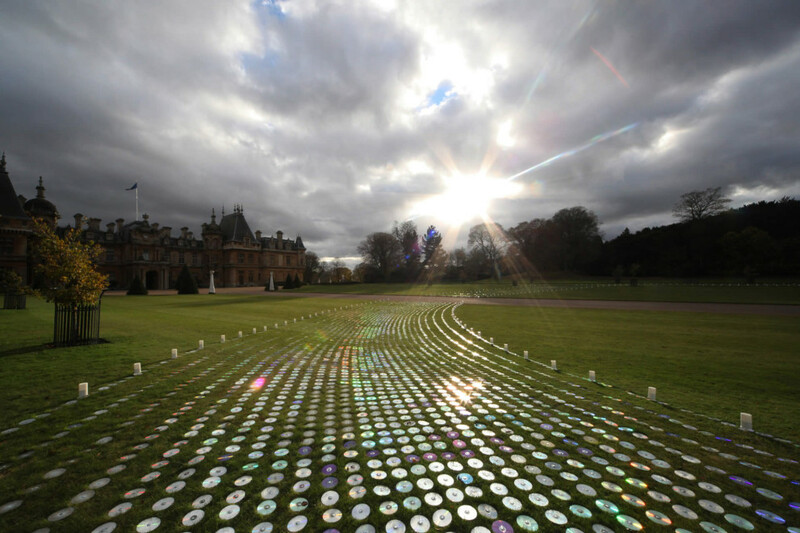 Angel of Light took form as a vast halo created from 46,500 CDs placed on the North Front at Waddesdon Manor. By day the CDs reflected the changing daylight and by night they caught the flickering lights of hundreds of LED candle luminaires.